Heading into spring training, there are a few things that still need answered. Some are about roster positions, some are about roles, and some are just glimpses into the future. Considering how sloth-like the off-season went, I was finding it hard to get pumped up for spring training until Saturday’s signing. However, these answers could be very different in June and July than they are now. With Darvish in the rotation and Mike Montgomery heading back to the bullpen, there will be an odd man out. It could by Justin Grimm. It could be Dillon Maples. Although, Grimm’s long term future as a Cub might just a synonym for his last name and his outlook as a Cub. Clearly, Maples has MLB stuff and he’s ready to be ready. He was the minor league star of the convention. Dillon was all over the place that weekend, giving interviews, signing autographs, and taking questions. I would love to see Maples break camp and head off to Miami. He has the pitches needed to succeed. Now, he just needs the opportunity. 2. Is the backup catcher position Victor Caratini’s to lose? At first, yes. Now with Yu in tow, I wonder if Chris Gimenez will get the roster spot. Caratini’s bat is going to play well enough for him to make the team. The only questions about Victor’s game are on the defensive end. At Iowa last year, he caught 15 out of 40 baserunners and 2 out of 6 in the majors. Those are decent enough numbers to get him the backup job. However, the Yu signing changes things. There just aren’t enough at-bats for three guys considering Contreras’ brilliance at the plate and behind it. I doubt if the Cubs carry both Gimenez and Caratini. It is likely one or the other. You can also add in the fact that the Cubs may need to carry an extra pitcher until arms are stretched out a bit. 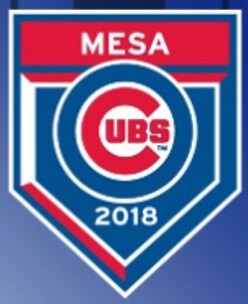 As a result, I think the Cubs break camp with 13 pitchers and only 2 catchers. 3. Are there going to be any kind of defined roles coming out of the pen? This is not going to be answered for quite a while and most certainly not in spring training. In fact, the bullpen on Opening Day could be drastically different in August depending on their ability to throw strikes. Right now, Brandon Morrow is the closer. Whether he can do that on a regular basis is up in the air, but Theo Epstein is extremely confident that Morrow can. I really don’t care about who is closing games in spring training as it not a realistic setting to establish roles. Still, a lot of the roles are going to be fluid this year. With the addition of Cishek and Morrow, Maddon can mix and match on a daily basis depending on the situation and hitter. As the summer goes on, the pen could have a new cast of characters depending on who can throw strikes. 4. Who is going to bat leadoff? I would like to see someone consistently in that position that can get on at a decent pace for Bryant and Rizzo to drive in. Right now, I am not opposed to most of the team in that spot except for Bryant and Rizzo. In a perfect world, I would like to go with Willson at the top. Ideally, though, you want a left-handed bat to balance Bryant and Rizzo. If Willson leads off, that would require Rizzo batting second and Bryant third. I am not sure if I would like that. As a result, I am sure Maddon will go with Schwarber at several points this spring as well as Happ, Heyward, Almora, Bryant, and Baez. If you watch Joe speak, you can tell he wants Schwarber there. As well as the Cubs hit, it shouldn’t be an issue. But, it’s the issue that is not going to die. 5. Which minor-league starting pitchers are going to shine in the major league Spring Training games? There will be several minor league arms that will get a chance this spring. Jen-Ho Tseng, Alec Mills, Duane Underwood, Eddie Butler, Luke Farrell, Rob Zastryzny, and Oscar de la Cruz could all take a couple of turns on the bump. However, the arm everyone wants to see out there is Adbert Alzolay. While Alzolay has no shot of breaking camp with the big leaguers, his spring will tell the Cubs how close he is and what he needs to work on (changeup). As spring training goes on, I am sure more answers will be needed as events will unfold that change how the complexion of how the team looks and feels heading into the season. Who knows? There might be more answers needed at the end of spring training than at the beginning.